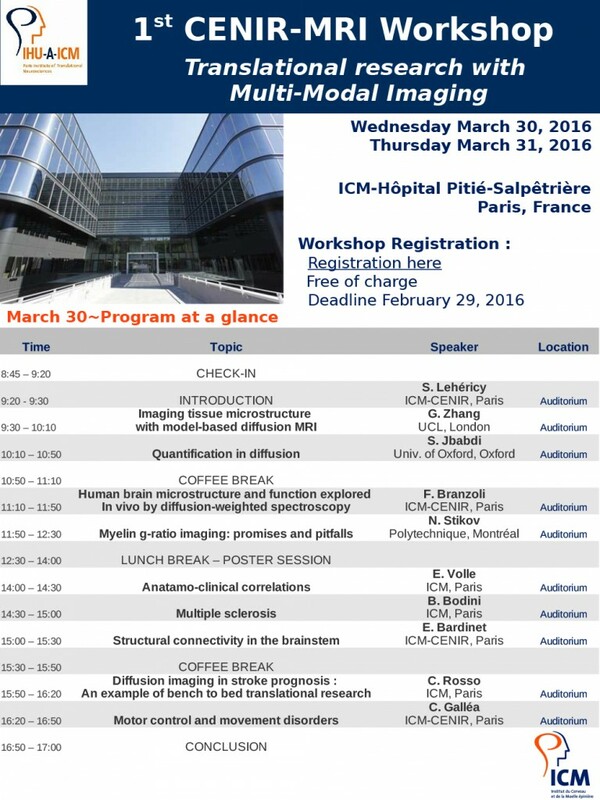 The CENIR organises its first Workshop on Translational Research with Multi-Modal Imaging on March 30-31st, 2016. 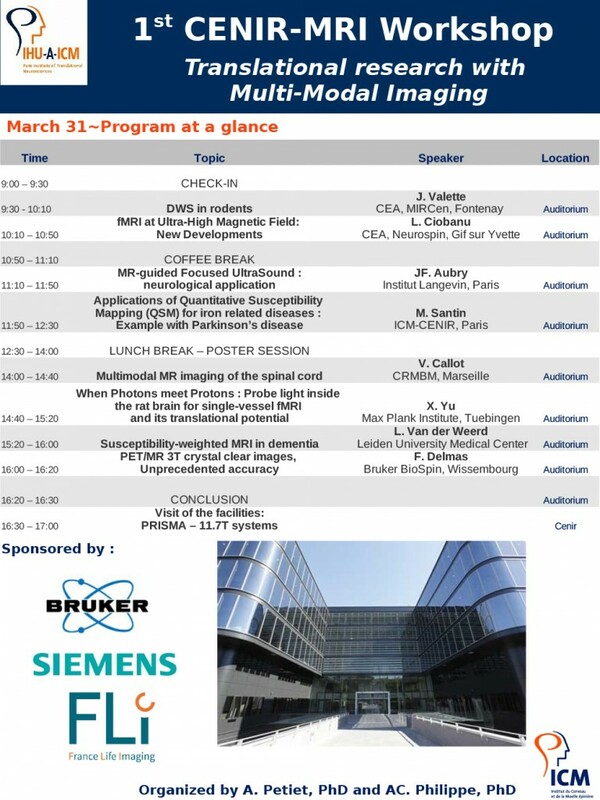 The goal of this workshop is 1) to promote the new ICM-CENIR MRI system (PRISMA) and 2) to engage new collaborations around state of-the-art MRI techniques both in humans and in experimental models. 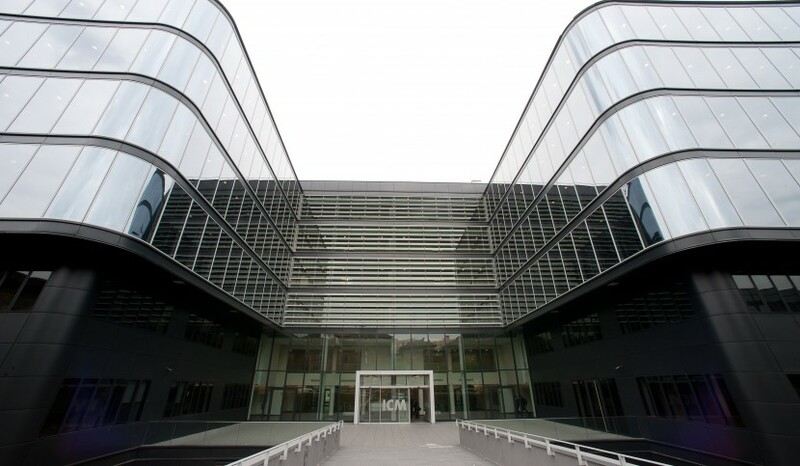 This workshop with a special focus on multi-modal imaging is intended for scientists who wish to develop imaging in a translational setting. Find here the program in PDF format. For more information, please contact Alexandra Petiet or Anne-Charlotte Philippe.